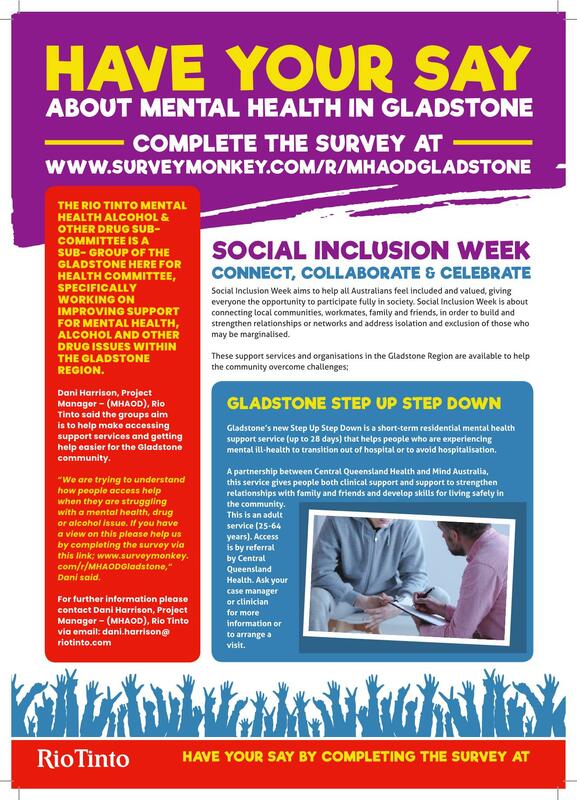 Have your say about Mental Health in Gladstone! 22 Nov Have your say about Mental Health in Gladstone! The Rio Tinto Mental Health Alcohol & Other Drug Sub-Committee is a sub- group of the Gladstone Here for Health (H4H) Committee, specifically working on improving support for mental health, alcohol and other drug issues within the Gladstone region. 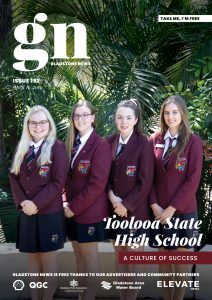 Dani Harrison, Project Manager – MHAOD, Rio Tinto said the groups aim is to help make accessing support services and getting help easier for the Gladstone Community. “We are trying to understand how people access help when they are struggling with a mental health, drug or alcohol issue. If you have a view on this please help us by completing the survey via this link; https://www.surveymonkey.com/r/MHAODGladstone,“ Dani said. Social Inclusion Week aims to help all Australians feel included and valued, giving everyone the opportunity to participate fully in society., Social Inclusion Week is about connecting local communities, workmates, family and friends, in order to build and strengthen relationships or networks and address isolation and exclusion of those who may be marginalised.